Into each of our lives comes some fight that must be made; however, the key to true self-victory is not that we "win" at all costs, but rather that we remain true, kind, and innocent in spite of the costs. Has there ever been a time in your life -- a period of real self-enriching growth -- that wasn't connected to a risk you either willingly undertook or -- to a time of inner trial where there was no other choice for you but to take a risk? Of course, there's only one answer to this question, and it's one recognized as being true wherever you may ask it in the world: The prize of greater wisdom and inner strength always goes to those who take, in one way or another, the risk. Taking conscious risks can be such a powerful catalyst for inner change. A conscious risk involves making a choice to do what's true, in spite of what that choice may cost you. On the other side of any conscious risk is the realization that who you really are has nothing to fear. But, in order to make this self-liberating discovery, you must willingly face those fears, whatever they may be. Following are examples of everyday events, each of which presents a unique opportunity to take a conscious risk. And, as you'll see, even the most common occurrences hide within themselves secret bridges to new self-wisdom and greater inner strength. The first step toward having your own free life begins with daring to refuse the silent demands of others. Saying "yes," for fear of saying "no" is a recipe for resentment. Risk walking away from fear. Say "no." Giving yourself empty things to do can't fill that emptiness you feel inside. So risk leaving that space empty. Allow it to fill itself, which it wants to do, with something you can't give yourself: The end of feeling empty. It's only when you consciously risk laying down your armor, shield and sword -- your quips, retorts and criticisms -- that you discover who you really are can't be hurt. Risk letting others win. Pretending to understand something that you don't, for fear of appearing stupid, only ensures that you'll remain a fearful pretender for the rest of your life. And that's stupid. Risk asking all the questions you need to ask. That's smart! The weight of any trouble is determined by how much you fear it. But the only weight any fear can have is what you give to it when you try to push it away. Risk not "sharing" your burdens. Stop pushing them onto others. You'll be amazed how light they really are. "No" is just a word; the fear of it is a prophecy self-fulfilled. Be bold! Risk asking for what you really want. Reject the fear of being rejected by daring to say "no" to the fear of "no." Your life can't be both a show and be real. Catch yourself in the middle of some self-created drama and just drop it. Risk bringing the curtain down on yourself. Life is real only when you are. You can never know the true pleasure and spiritual satisfaction of having your own life until you take the risk of finding it for yourself, all by yourself. Followers fear to tread that higher inner road called "My Own Way." Risk going out in front. You've been trying to run your own show and, so far, it's pretty much been a nightmare with entertaining intermissions! Risk letting something higher have its hand at directing your life. Let your show go. Everyone wants to be seen by others as being great. This makes that kind of greatness common. Be awake to what is common in your life and then risk doing the opposite. Real greatness follows. The moment of real conscious risk always feels like a tunnel with no light at its other end. But each time you'll choose to enter it, that tunnel will turn into a bridge spanning the space between your past fearful life . . . and your new fearless one. 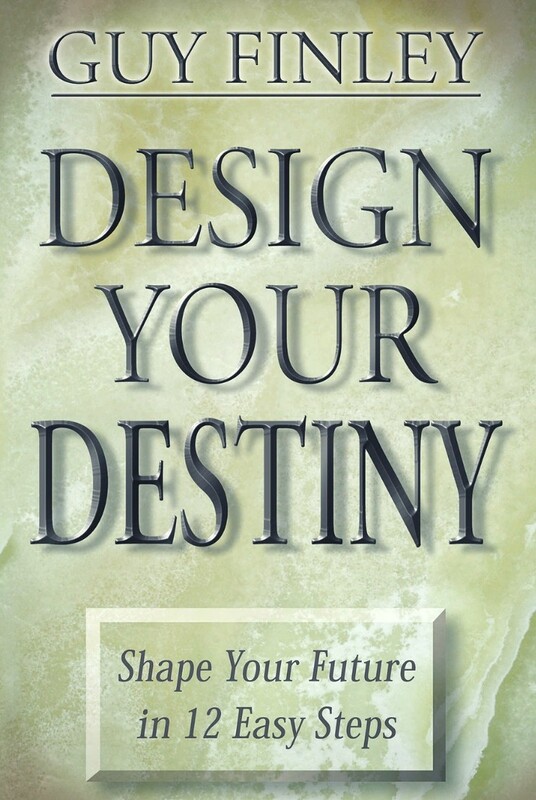 Excerpted From: Design Your Destiny: Shape Your Future in 12 Easy Steps, pages 33-39. Audio, Video Stop Making Some "Thing" Out of "No-Thing"